In keeping with the airline’s focus on offering continuous refreshes and more options for travelers, Delta’s domestic First Class and Delta Comfort+ snack baskets were refreshed on Dec. 1. In addition to offering bananas and the airline’s Main Cabin complimentary snacks, which include Squirrel Brand almonds, Snyder’s of Hanover pretzels, KIND Healthy Grains Oats & Honey with Toasted Coconut and its signature Biscoff cookies, the refreshed snack baskets will include a line-up of customer favorites and a brand who’s on a mission to make a difference. This Bar Saves Lives® is one of the fastest growing impact brands in the world with one bold mission — for each delicious granola bar purchased, they provide life-saving nutrition to a child in need. These premium bars are made with real ingredients like nuts and seeds and are gluten free, non-GMO and kosher. The company was born in 2013 when the founders traveled to Liberia on a humanitarian trip and met children suffering from severe acute malnutrition, a heartbreaking condition that’s 100 percent treatable and preventable. Co-founders Kristen Bell, Ryan Devlin, Todd Grinnell and Ravi Patel launched This Bar Saves Lives with a simple motto, "Buy a bar. Feed a child. We eat together.” To date, they’ve donated millions of nutrient packets, impacting thousands of children around the world. 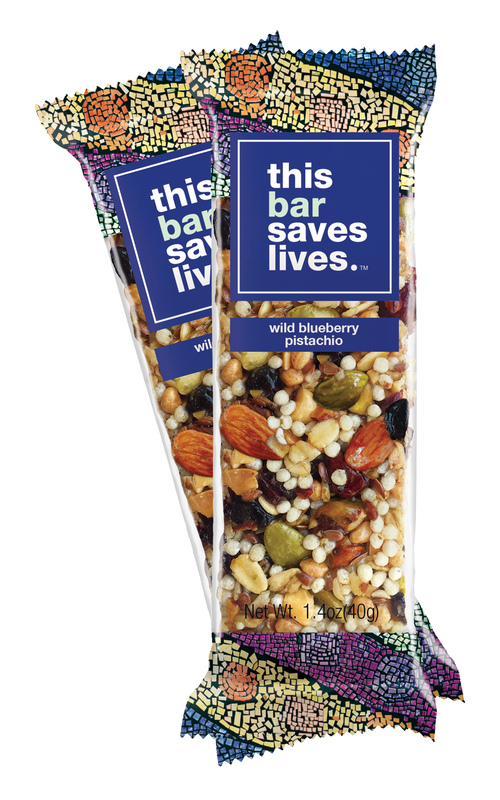 Delta will be offering This Bar Saves Lives Wild Blueberry Pistachio Bar in its Delta Comfort+ snack basket, supporting This Bar Saves Lives’ mission of helping those in need. Throughout the three month cycle, the airline will be purchasing approximately 300,000 bars. Other offerings include customer favorites such as Dancing Deer Apple Cinnamon Walnut Cookies, Miss Vickie’s Sea Salt chips, Luvo Mini Oatmeal Crunch Cookies and Asher’s Dark Chocolate Coated Graham Cracker. These enhancements are part of the airline’s multi-billion dollar investment in the customer experience that includes a cabin modernization program featuring new seats, seatback entertainment systems with free entertainment, free mobile messaging, high-capacity overhead bins, access to Wi-Fi on nearly all flights, free Main Cabin meals on select flights, upgraded Main Cabin snacks, an Alessi-designed collection of serviceware, Westin Heavenly® In-Flight Bedding, chef-curated meals paired with wines hand-selected by Master Sommelier Andrea Robinson, noise-canceling LSTN headphones and more.